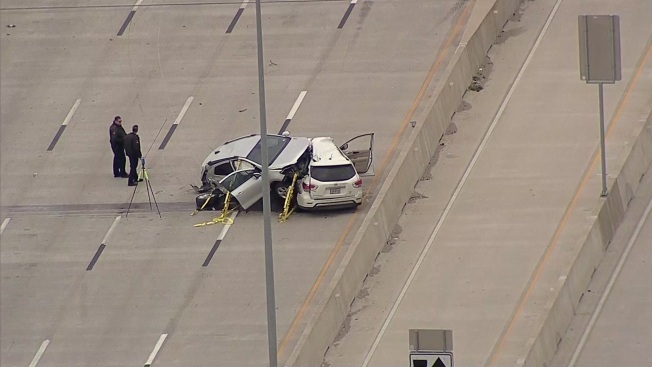 The southbound lanes of Interstate 35E in Lewisville have reopened after all lanes were closed Wednesday morning due to a crash involving multiple vehicles. The crash was reported just after 9 a.m. between the Lake Lewisville Bridge and Garden Ridge Boulevard. The Hickory Creek Police Department said two people were hospitalized after the crash. Investigators said one person was in critical condition and a second was "stable." What caused the crash is still under investigation. The roadway fully reopened shortly before 3 p.m.